There are certain things I just won’t cut corners on. I won’t make cookies from a box, bag or anything that says “break and bake.” I won’t ever buy marinara sauce from a jar. And I certainly wouldn’t dream of buying a pre-made cake. But, before you think I don’t have a full-time job, multiple hobbies and a life outside the kitchen, let me tell you what I DO cut corners on. I will, every once in a while, buy a pie crust (my grandmother would cringe). I have been known to buy jams from a jar, salsa from a jar and – gasp – dips from a jar. But the one shortcut I did every week, every Thursday, without batting an eyelash, was buy fresh pasta. That is, however, until I went to Italy. When I experienced a cooking class outside of Varenna with the talented Moreno, I had a new outlook on Italian cooking. Much like the view I have on cooking, Italians enjoy making the food as much as eating it. And, the more steps of the process your hands touch, make or mold, the more love you can put into the dish you will serve your loved ones. Dear Moreno made pasta from scratch. No attachments to mixers. No crank machines. Just his hands, a rolling pin and a few simple ingredients. 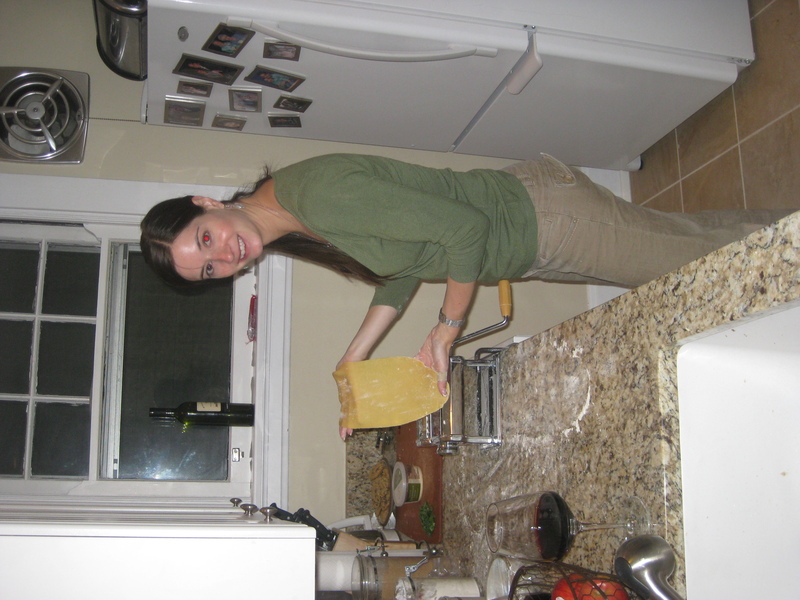 I would be fooling myself (and overestimating the size of my kitchen) if I thought I could make pasta with a rolling pin. But it did inspire me to make pasta. After all, I call it a sin to not make your own gravy, so why would I buy fresh pasta? Step one was a pasta maker, and I was lucky enough to get one from my parents for Christmas. I couldn’t wait to try it. 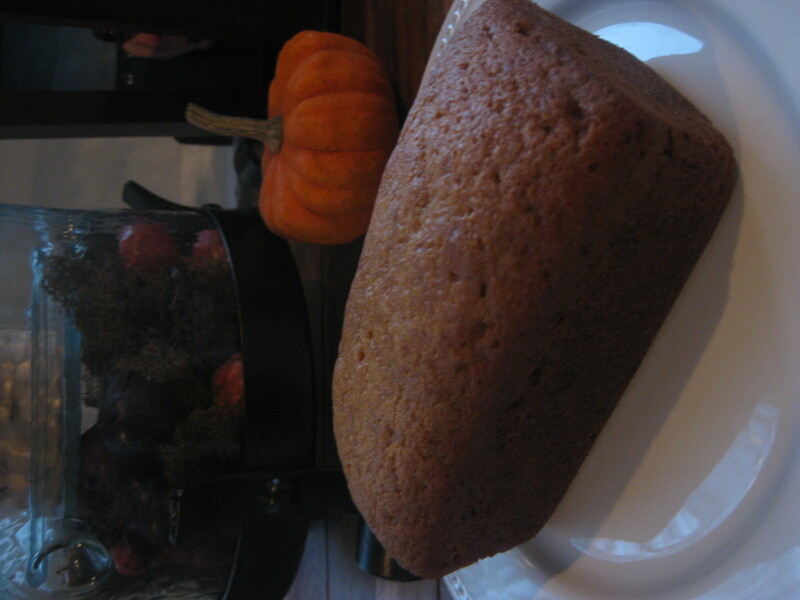 I searched back for Moreno’s recipe which had semolina flour (and I couldn’t find it anywhere) so I looked up a few recipes online for all-purpose flour. I cleared a Sunday afternoon, got out my machine, and went to work. I would be lying if I told you the first time it was perfect – in fact, it was far from. The dough just didn’t feel right in my hands (sign one) then the crank number the recipe called for made the pasta feel too thin (sign two). But, it gave me enough hope to try again. Four times, and four recipe alterations later, I finally got it. The perfect pasta noodle. While I am still mastering tagliatelle, I think ravioli might be a natural progression. However, anything more complex, I am buying from the store! 1. Don’t cut short kneading the dough. If you don’t do it for at least 10 minutes, the dough won’t be right. You will be tired, and wonder why, but you feel it in your hands when the dough takes form. 2. Don’t forget to let it rest. It needs this time after being needed for so long. At least for 3o minutes. 3. 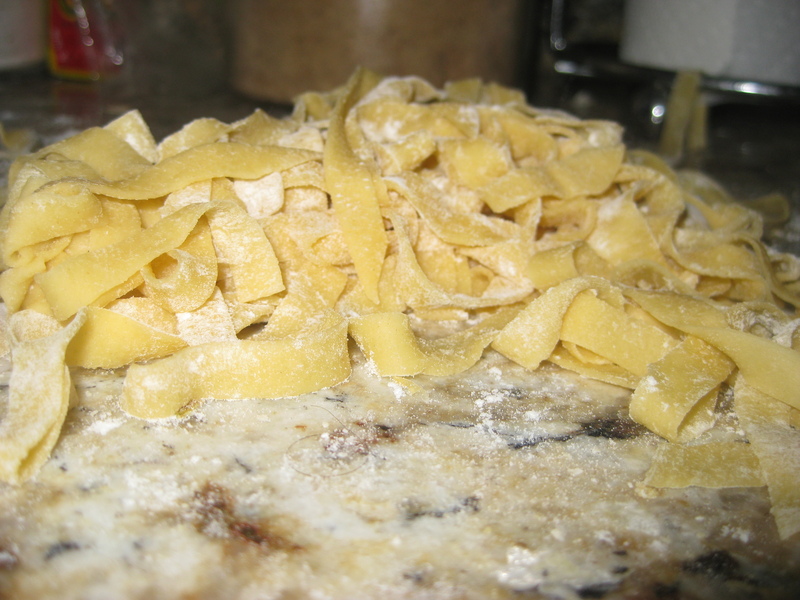 Don’t be afraid to use flour once the noodles are made in order to separate them. 4. Go into the process knowing you will tweak your recipe many times before finding one that works. 5. Allow yourself at least an hour for the process (if not a little more). 6. 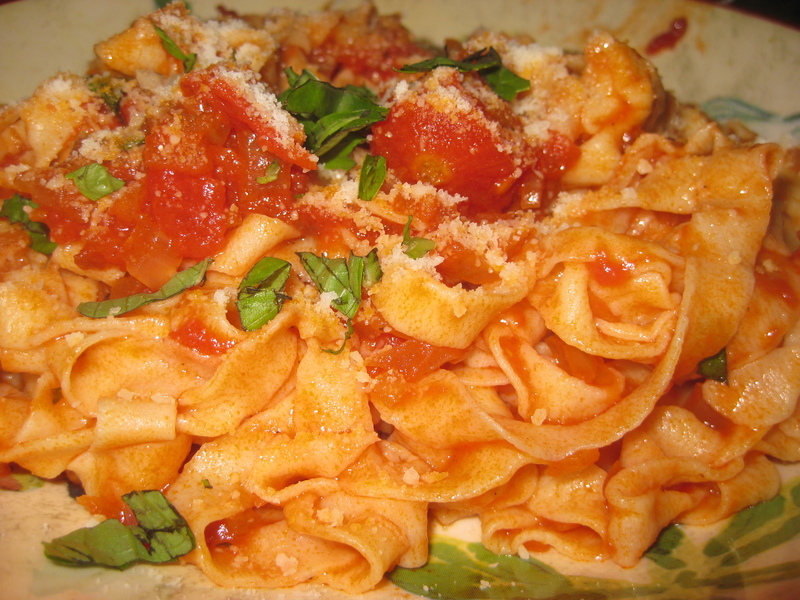 It tastes better and is much more fun if you make it while sipping red Italian wine and listening to Italian music. I would love to give credit to someone this recipe but I used one I found online and changed it so much, I don’t even recognize it anymore. 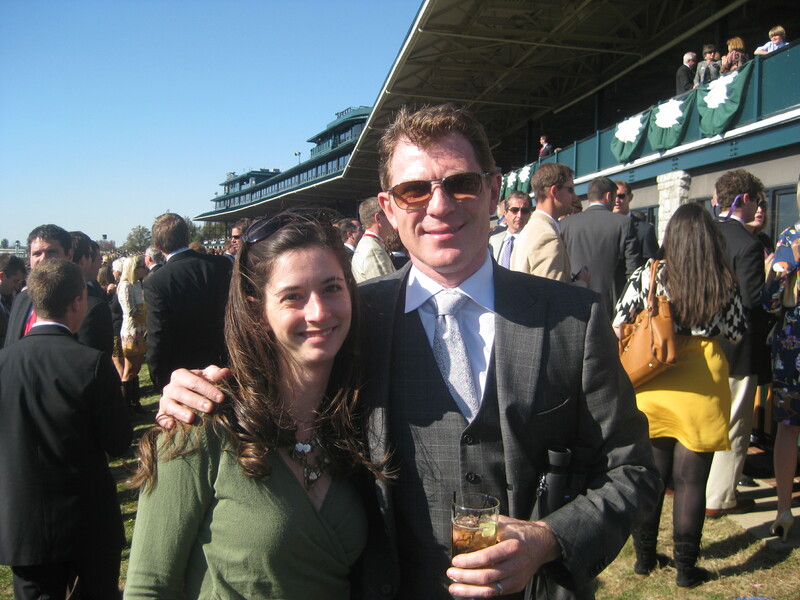 So, I suppose I should credit myself (although there surely are many duplicates out there). So in Italian fashion, when I make pasta, the whole meal tastes of the love I put into it. I recently revisited my pistachio cream pasta the time I finally nailed my noodle recipe. It was almost like a different dish – a dish entirely made from scratch. No shortcuts. But lots of love. Put flour on a marble, wooden or smooth countertop and create a “volcano” and create a well in the center. In a bowl, mix the eggs, salt and olive oil. Pour the egg mixture into the well and slowly incorporate the flour into the eggs, pulling flour from the area around the well. You might have to add the yolk in multiple phases in order for it to fit in the well without spilling over. As things begin to get incorporated, keep kneading (even if your well breaks) and add the water if necessary. This will be messy, but keep going! Once you have the mixture in a ball form, begin kneading the dough. Fold it in have and press against the counter. Start a timer and knead for no less than 10 minutes and you will see your dough begin to take shape. Once your 10 minutes is up, cut your dough in half to form two little balls. Put them in a bowl (or two separate bowls) and cover with plastic wrap. Let them sit for at least 30 minutes to an hour. If you are using a crank machine, take the first ball and press onto the counter to push into a flat pancake. Make sure your pasta maker is on the widest setting (mine is 7) and crank the dough through. Keep flour on the dough to keep it from getting sticky. Keep changing the setting every time until you get the thickness you want (for mine the perfect thickness is level 3). 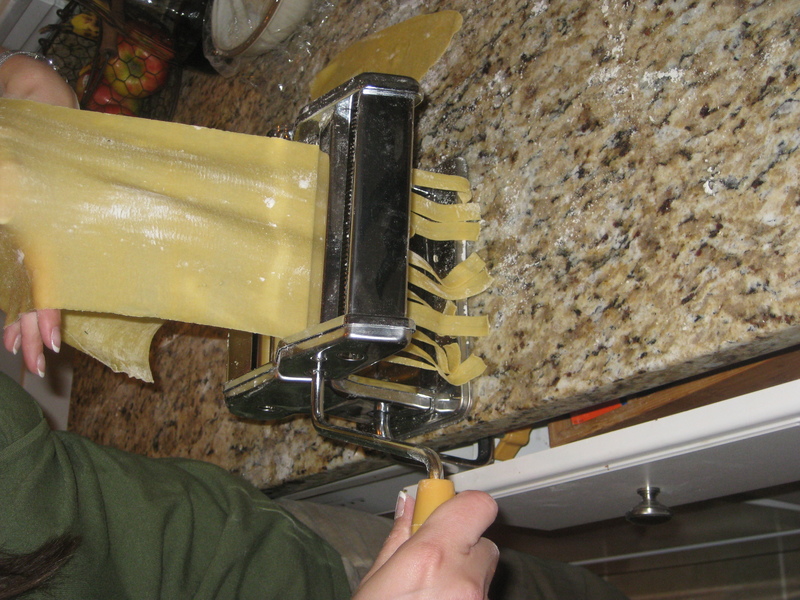 Then, crank it through the cutting side, keeping it floured and you have fresh pasta! This pasta can also be frozen, I am told, but I have yet to do it. 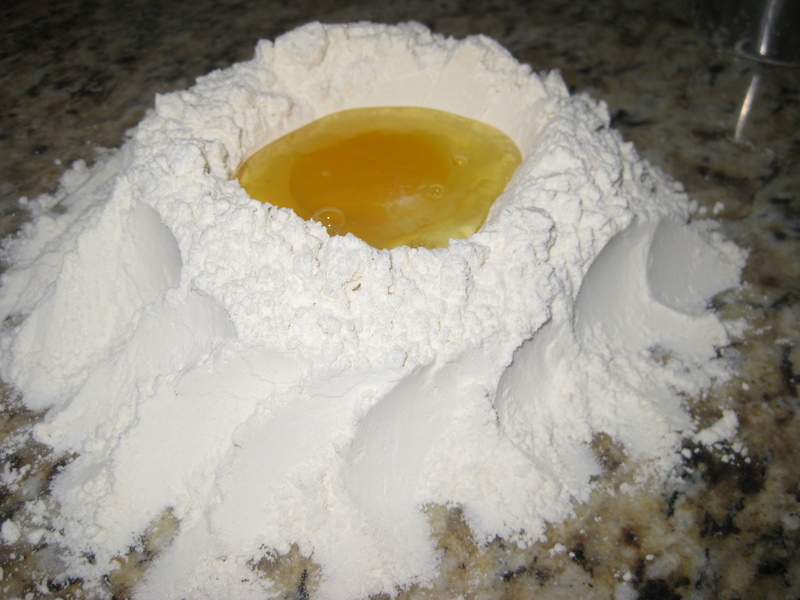 The flour with the well of egg mixture in the center. 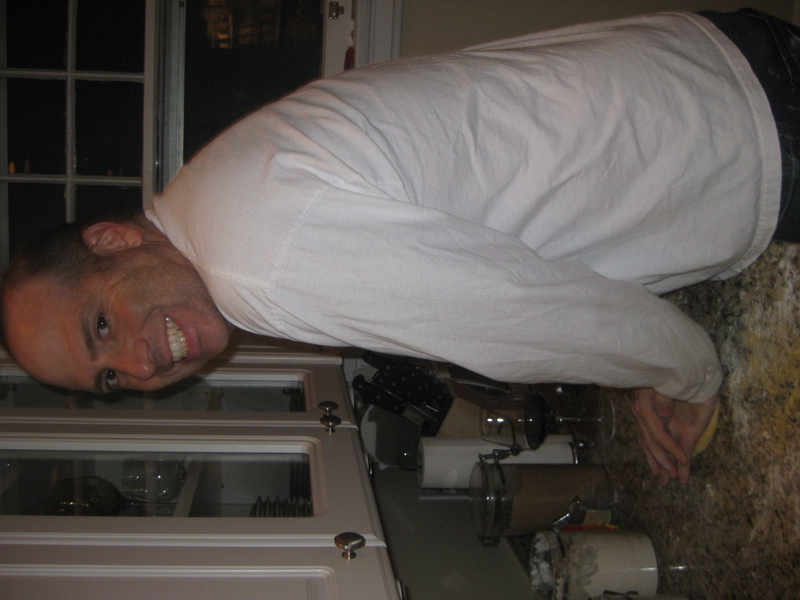 My husband demonstrating how to knead the dough! 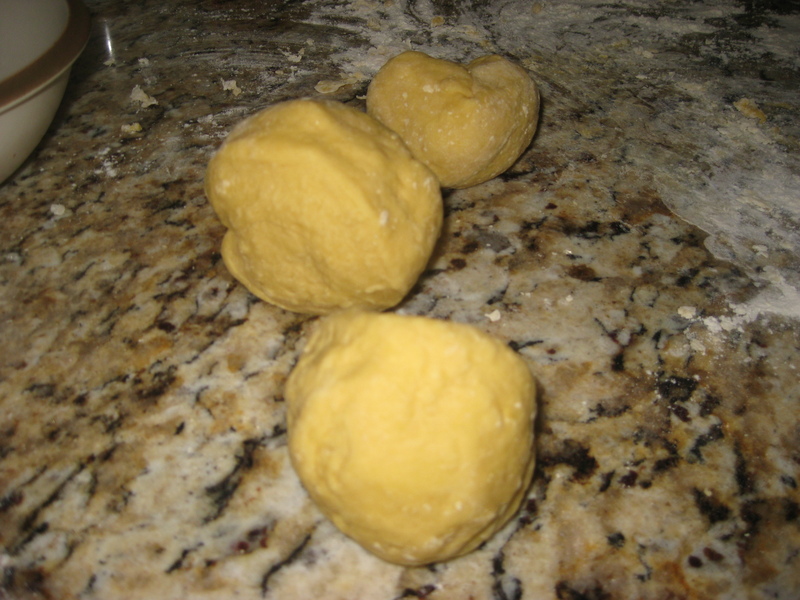 The balls of dough after they have been kneaded. 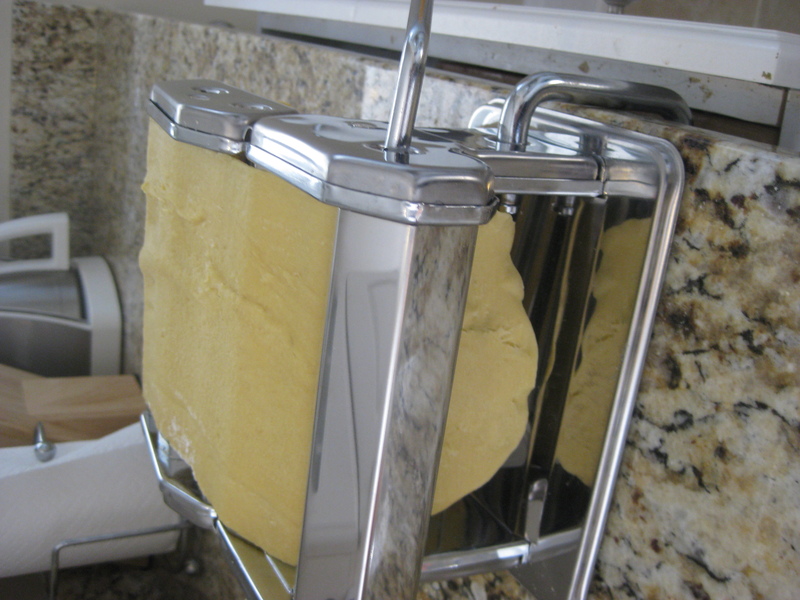 Passing the dough through the pasta press. Cutting the pasta. The last step!